HSE Director General Tony O'Brien described a call for his resignation by Mr McGuinness as "political comments" and said he was sure Mr McGuinness had political reasons for making them. Speaking to RTÉ News Mr O'Brien said his job is to run the health services in very difficult circumstances with continually diminishing resources and for that reason he was not going to enter into the rough and tumble of political commentary. Mr O'Brien said he would focus on the interests of health service users and of staff and on continuing the continuous improvements of the health service. Mr McGuinness this afternoon asked Mr O'Brien and Department of Health Secretary General Ambrose McLoughlin to resign. He said: "It's a business so on all of the major fronts you failed. "And as a representative of the shareholders here, and I am sure if they were all here, they would probably look at you Mr McLoughlin as it's you who negotiates the budget in house before it gets political on the other side, and Mr O'Brien that both of you should resign because it seems to me that this is sort of Groundhog Day. He asked the committee to understand that as a civil servant he is obliged to carry out the decisions of the government and the minister in these matters, as is Mr O'Brien. Mr McLoughlin added that he accepts "we are in an extremely challenging environment and we will do everything we can to take on board the constructive recommendations that you have made". He said that Ireland's public health expenditure has lost €3bn since 2008, and 12,000 people. He said they have been trying to do more services with less, but now they are have to do "less with less". Earlier, Mr O'Brien told the PAC that there were 143 individuals at Section 38 agencies who were getting top-ups. Mr O'Brien said the fact that they were in receipt of an unauthorised payment was not of their own doing. Mr O'Brien said he hoped to provide a full report on the issue to the PAC in early July. Mr O' Brien told the PAC that around eight people were asserting their contractual right to top-up pay. 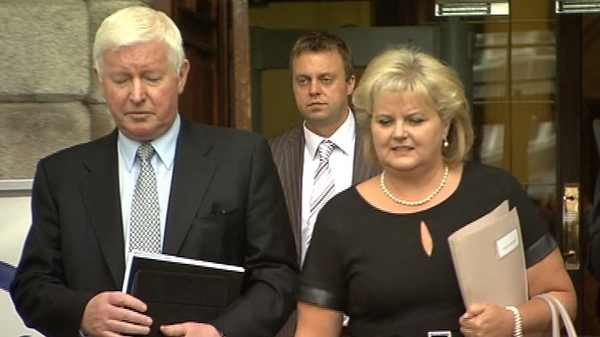 Mr O'Brien said the post had been advertised twice under the public appointments process and could not be filled. Mr O'Brien said he would look into the issue but said he would not "investigate" it as this would suggest something else. At the PAC hearing today, Independent TD Shane Ross described the procedure committee's letter as a refusal by any other name and claimed it was an attempt to nobble the PAC. 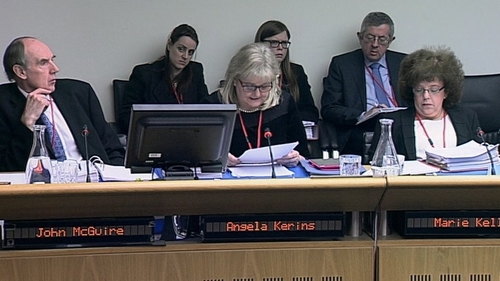 Mr McGuinness said that some Government departments could not give all the necessary information to the PAC relating to Rehab as "there were not in compellability mode".